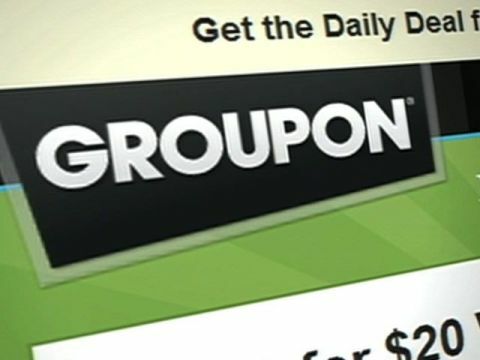 • Groupon, LivingSocial, Ideeli, Gilt Groupe, Dealnews.com. The list goes on and on. If you have yet to visit these sites, or even heard of them, I invite you to go forth and save money. (You’re welcome, by the way.) As an admitted cheapskate and all around deal finder, the current climate of the economy and its subsequent saturation of ways to effectively save you money have given me food for thought along with anything else I need, want, desire, or didn’t realize I needed, wanted or desired. We have become supersaturated with information and comparison until we no sooner buy an item that it goes on sale somewhere else. This has caused a change in not only our shopping habits, but in the thinking and our approach to everything in life. This started me thinking about true LUXURY items and our approach to the greatest things in life. The old adage goes, “You will only get out what you put in.” If this is true, although we get a great deal, we may also be training ourselves to acquire only a “fix” and never truly invest. This is by no means a call to exuberant spending or living above your means, as those things are dealt with separately in the Word of God, but it is an honest look into the psyche of our habits and our approach to all things in life. True luxury items in the world NEVER GO ON SALE. They have no need to. If you want to own them, you will work for them and be willing to pay the price because it means that much to you. When was the last time you saw a rebate on a new BENTLEY or a discount retailers for items on Rodeo Dr., in Beverly Hills? These luxury brands know something about the marketing of their items. But to have the GENUINE Gospel experience, you must be willing to sell all that you have (plans, direction, investments, habits, mistakes, hurts, pain, etc...Matt. 11:28-30) You must trade your yoke in exchange for HIS yoke. You will still have a yoke, but it brings with it all the benefits of the call. It requires some changes and will often rub you the wrong way, because it doesn’t fit like your other yoke. But when you learn to allow the Holy Ghost to lead you, and you are willing to give up on being a maverick, you become as prized stallion, a vehicle of transporting the Gospel to the entire world. To further emphasize the exclusivity of this Gospel, we must look no further than the Gospels of Matthew and Luke, where Jesus teaches us that the road is narrow and FEW there be that find it. Behold the harvest is truly great, but the laborers are few. For many are called, but few are chosen. It is not until we release our ambition to have something for nothing or to find a “bargain” on this Gospel that we can put forth the work needed to answer the call. We don’t need a Groupon Gospel, but we need a generation to be willing to GIVE IT ALL, for the sake of the GOSPEL.